The Clear Connect™ CCD-6CL Dimmer is capable of controlling up to 150 Watt Dimmable CFL / LEDs or 600 Watt Incandescent / Halogen or Mixed bulb types. 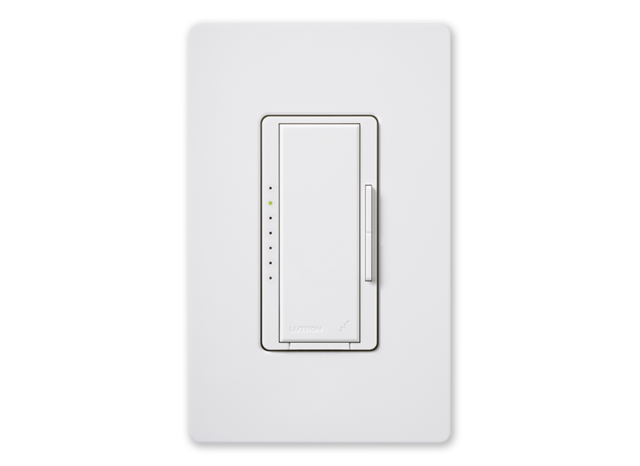 This versatile dimmer offers more reliable performance over incandescent dimmers when controlling CFLs and LEDs. It also provides the capability to adjust the low-end of the dimming range based on the capability of each supported bulb.